If you're pregnant and looking for a good snack or meal replacement, you might be wondering whether protein bars are safe for you to eat. While there are many foods that are safe when you're not pregnant but unsafe when you are, protein bars -- at least generally speaking -- aren't among them and should be okay to eat when pregnant. During pregnancy, you need protein -- just as you do when you're not pregnant -- to serve several purposes. You break down protein into small molecules called amino acids, which your cells absorb and can burn to provide you with energy. Additionally, though, your cells can use the amino acids to make their own proteins, explain Drs. Reginald Garrett and Charles Grisham in their book "Biochemistry," which is critical to growth and development -- both yours and your fetus'. Finally, you use amino acids to make small molecules like neurotransmitters. Protein bars vary in their ingredients, but most contain protein in the form of either soy or whey, which comes from milk. These are both safe sources of protein during pregnancy, despite concerns you might have heard that soy contains chemicals that can mimic human hormones. Soy does, in fact, contain chemicals called phytoestrogens that are similar to human estrogen, but there's no scientific evidence that they will do you or your fetus any harm. In addition to being a good source of protein, many protein bars are fortified with vitamins and minerals. During pregnancy, just as when you're not pregnant, you need vitamins and minerals to help your cells maintain health and well-being. While you don't need more of most vitamins and minerals during pregnancy than you do when you're not pregnant, you do need more iron and folic acid, which some protein bars contain. 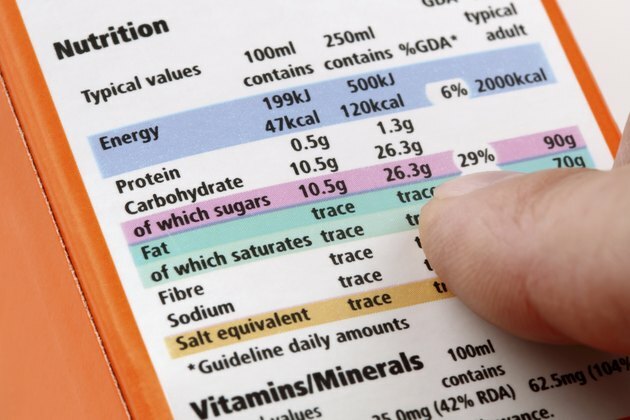 You can look for these in the ingredients or on the nutrition facts label. 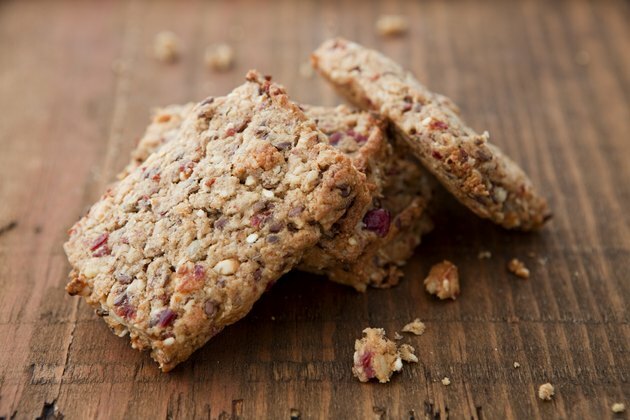 There are a few uncommon ingredients in protein bars that you want to avoid. Artificial sweeteners, including sucralose and aspartame, haven't been proven safe in pregnant women, explain Heidi Murkoff and Sharon Mazel in their book "What To Expect When You're Expecting." As such, it's best to avoid using them during pregnancy. You'll also want to avoid herbal supplements added to protein bars -- most of which haven't been proven safe in pregnancy -- unless you've talked to your obstetrician about them. Conception, Pregnancy and Birth; Miriam Stoppard, M.D.